When the topic of the engagement ring comes up between a soon-to-be-married couple, often times the groom starts to sweat while the bride gets sparkles in her eyes. Many couples are under the impression that they need to spend a small fortune to find the perfect engagement ring. That’s simply not true! Couples who know where to look can find an unbelievably gorgeous engagement ring that is also affordable, and those who are on the lookout for unique rings can get them without breaking the bank. Check out the amazing and affordable options we’ve gathered for you today. 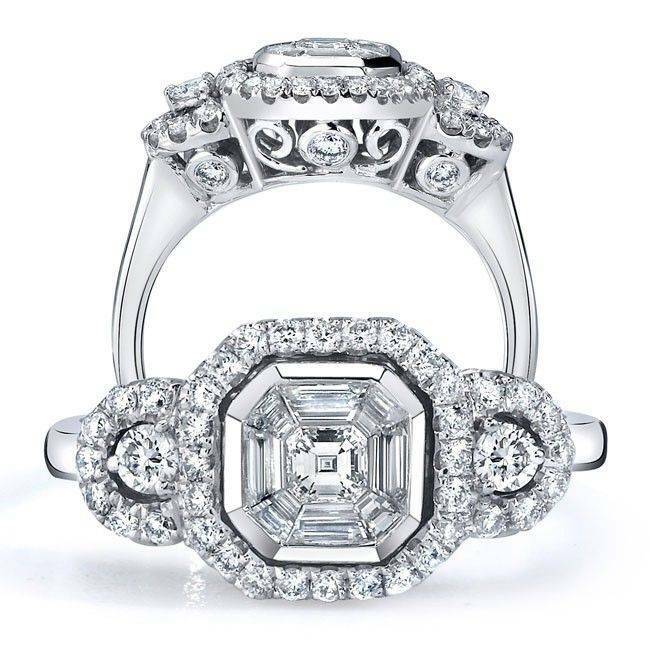 A diamond engagement ring doesn’t have to be outrageously expensive. 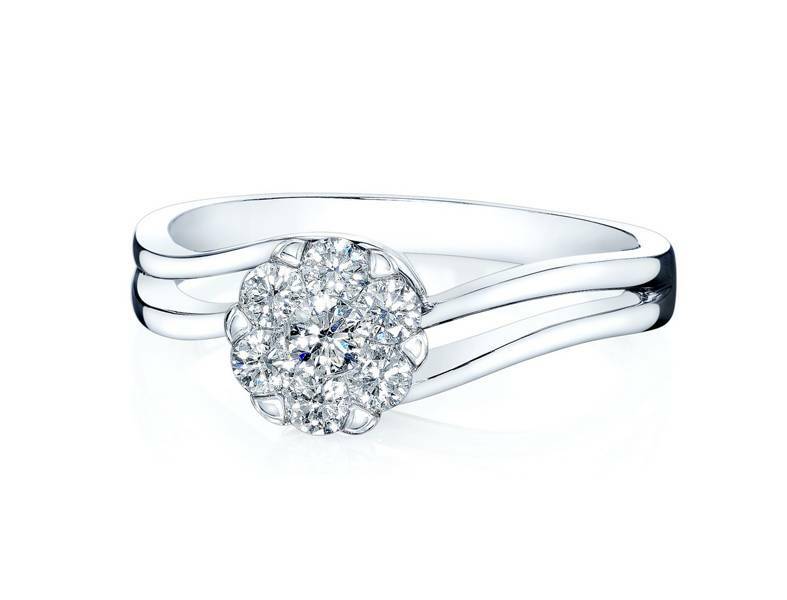 Coronet Diamonds has been proving this with their patented seven-diamond setting for years. Their rings have the look of heavy, extremely expensive diamond rings, but they’re quite affordable. The most amazing thing is that their engagement rings sparkle like no others, because they feature 399 facets that reflect light and shimmer like crazy. 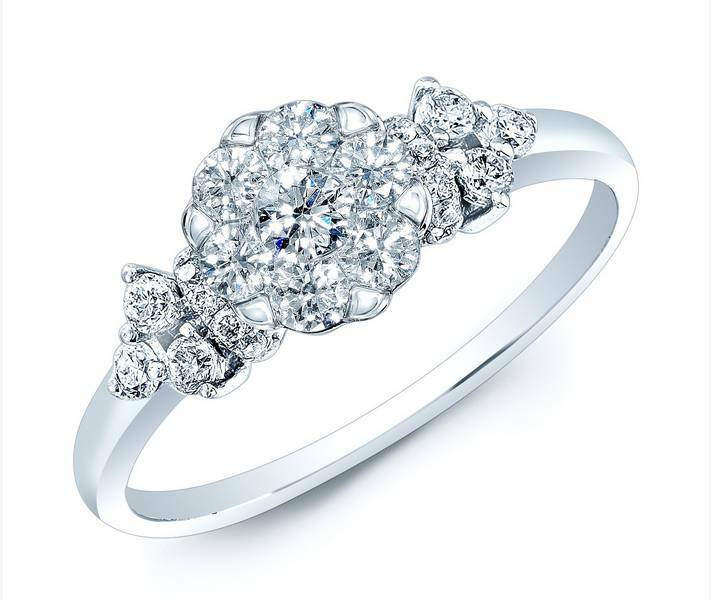 Because the rings utilize numerous diamonds rather than one, the result is a ring that is absolutely brilliant. A .40 carat total weight ring can outshine a 1 carat diamond ring from other jewelry stores. This is the perfect solution for the couple who is just starting out or those that have to work within a certain budget (and let’s face it – that’s most of us in today’s world). Plus, Coronet Diamonds features extremely high-quality diamonds, so brides can be sure that their ring will be as durable, as tough and as beautiful as their love! We love that there is a variety of different styles as well, which allows all brides to find something they feel is perfect, without breaking the bank! Another common misconception is that couples on a budget can’t find unique rings; that they’re doomed to choose from a set line-up of rings that a million other brides wear. That’s simply not true. In fact, one of our most favorite diamond stores, Diamond & Design, offers a slew of unique and exclusive designs for all budgets. Not only do they have a readily-available collection of truly unique and beautiful (and affordable) rings, but they also do custom designs, working with couples and their budgets. So it’s absolutely possible to obtain a custom-designed ring that fits you and your budget. Clients love the ability to get a custom-designed engagement ring because they can obtain a ring that truly expresses their personality and style, and they are able to work with what they can afford. 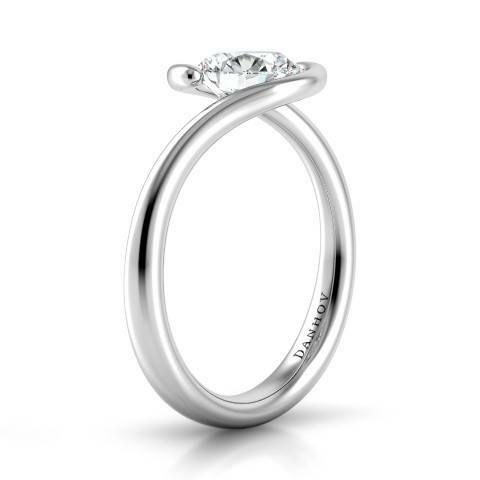 Danhov also has some affordable high-end designer ring options with a focus on quality and craftsmanship. Aside from the great deals, Danhov is also ethically made in the United States, eco-friendly, hand assembled and offers award-winning designs. Danhov added yet another accolade at the recent JCK tradeshow. 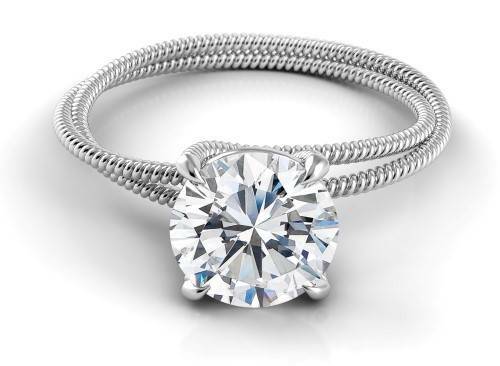 This year, Danhov was recognized by PGI-USA for its use of precious platinum in creating a beautiful engagement ring in the category of entry level bridal – meaning the rings had to have a price point of $3500 or less. Each Danhov ring is individually made one ring at a time so they are customizable to ensure you get exactly what you want. The unique and sleek look of the Voltaggio Tension Collection is impressive. No prongs or bezels, only pressure that holds the diamond in place. It’s not as difficult as you might think to obtain a custom-designed ring or a beautiful readily-available engagement ring and stay within your budget. What are you looking for? Have you already designed the perfect ring in your mind? Are you looking for a vintage-style ring? 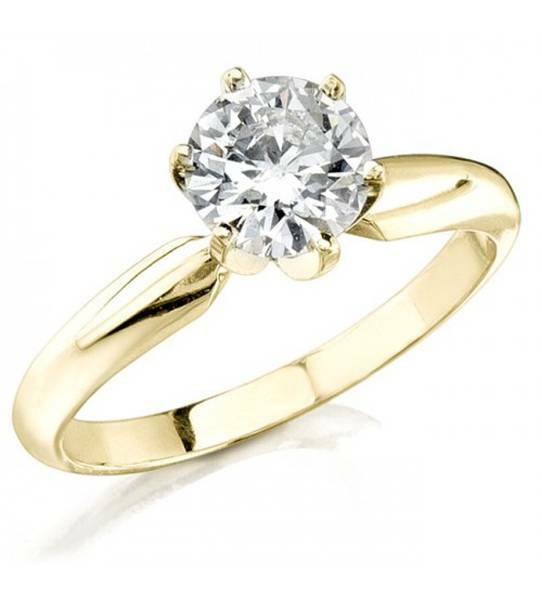 A classic diamond solitaire? Let us know in the comments below.